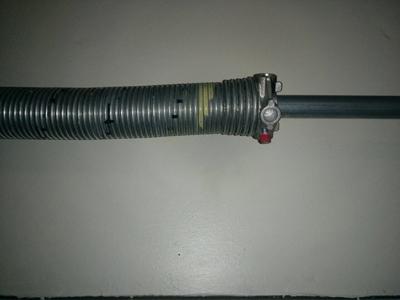 Of all the garage door parts, you should give most of your attention to the garage door springs – the extension spring and the torsion spring. They are considered the most essential pieces in getting the door opened and closed. Once said parts get broken, it is highly unlikely for you to make use of your door again. In such a case, you can opt to repair the problem on your own. It certainly is not impossible, with all the DIY guidelines you will find online and offline. However, be mindful of the fact that to do it successfully, you must be equipped with the necessary skills as well as materials. Said task can be very risky and dangerous, especially for beginners. As such, when in doubt, it is always better to have experts do it for you. One big sign that a door is functioning well is when it opens and closes in a quiet and smooth manner. When it does not, it is highly possible that you are experiencing a garage door issue. But do not panic yet. You can always try manually opening the door, as long as you do not mind the hassle. If it still doesn’t work, this might be the time for you to start contacting a garage door company. Our experts at Garage door repair Wheeling provide the best broken spring repair service in the area. This problem is a common issue that our company is used to address, which is why you can be assured that our services are well-tested. Aside from repairing broken springs, Garage Door Repair Wheeling offers other services that could help you in ensuring that your door stays in great condition for as long as possible. We have maintenance services as well as emergency repair services. In case you fancy a new door for your home, we also offer a range of doors and openers from which you can choose. All products and services about garage doors are available here. Call us now to find out more about them.